For Delaere and André a painting is never passive. It is both the action that passes to an object and transformation into an image. Both investigate the expansion of the painting through a gathering of activities, theoretical source research, social media and interpersonal relationships, as base for the creative process. This interplay between action-reaction illustrates the conditions that are present in one and the same field: the artwork. 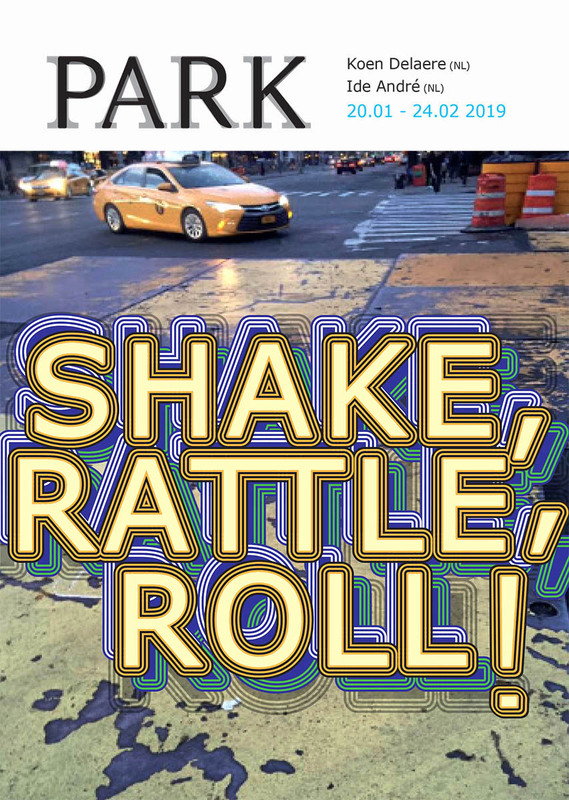 For Shake, Rattle, Roll! special new works will be realized during the build-up period in PARK. We kindly invite you to be present at the opening on Saturday, January 19, 2019 at 3 pm. 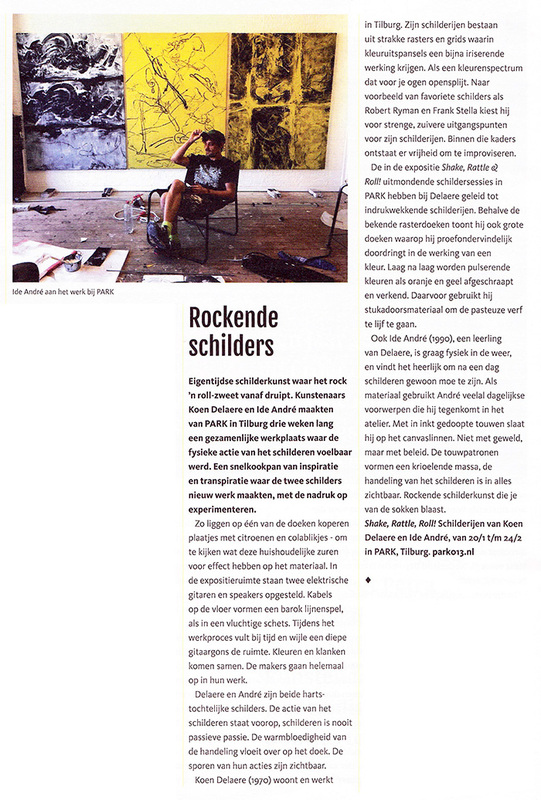 The opening will be performed by Dominic van den Boogerd, former director of De Ateliers Amsterdam. I Said shake rattle roll! On the occasion of the exhibition, Delaere and André each make an edition of seven works that we can offer to our audience for a best price. For more information about these special editions go to shop. Click here for Dominic van den Boogerds opening speech.